Project Waterfall is a charitable initiative that aims to bring clean water to coffee growing communities all over the world. You might ask, why coffee growing communities? One explanation is that Project Waterfall gets much of its support from members of the coffee industry. Through events like UK Coffee Week, London Coffee Festival, New York Coffee Festival, and Amsterdam Coffee Festival, Project Waterfall brings members of the coffee industry together around a common philanthropic cause. In addition to Project Waterfall’s link to the coffee industry, coffee and water themselves are intrinsically linked. The process of producing and brewing coffee is water intensive. In fact, it takes 140 litres of water to produce just one cup of coffee. 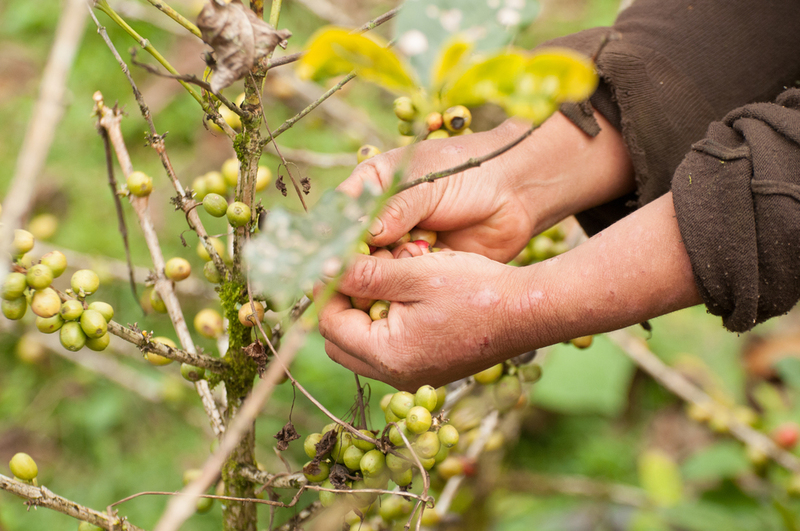 Paradoxically, many of the communities that grow coffee are facing a water crisis. We would like to take you through the life of a coffee bean, from the minute it is planted in the ground to when it reaches your cup, and invite the coffee industry and coffee consumers alike to join us in supporting the coffee growing communities that make our industry possible. Depending on climate, coffee can be cultivated in a variety of ways. In the tropics of Central and South America where much of the world’s coffee is produced, small coffee farms rely on rainfall to water their plants. In other locations, like some parts of Africa that do not have heavy rain, farmers must use irrigation from nearby bodies of water. However, as the global demand for coffee increases and weather becomes increasingly unpredictable with climate change, more and more water is irrigated from watersheds and streams to coffee farms. The process does not end there. After coffee “cherries” are picked from the plants, they must be treated and fermented to carefully extract the coffee bean, the seed of the plant, from its surrounding fruit. The cherries are placed in large vats of water to test which fruits will sink, indicating they are ripe. The ripe cherries are then fermented and washed in water to remove the fruit from around the coffee bean. Over the course of one season, it takes millions of litres of water to support a small coffee mill. Coffee is a water intensive crop that uses more water during production than tea, sugar, wheat and barley. In order to brew a delicious cup of coffee that respects all the complicated flavours in a coffee bean, you need great water. Coffee shops will invest in complex water purification systems (such as BRITA Professional) to ensure the taste of each cup of coffee is not disrupted by minerals in unfiltered tap water. Additionally, all of the equipment used to brew coffee must be rinsed with water after every cup of coffee or shot of espresso is pulled from the machine. Any residual coffee grounds or coffee oil left in the glassware give the next cup a bitter and rancid taste. Despite the incredible amount of water it takes to produce coffee, coffee growing communities are facing a water crisis. The leading coffee producing and exporting countries in the world are also some of the poorest, and rural farming communities are those that suffer the most. 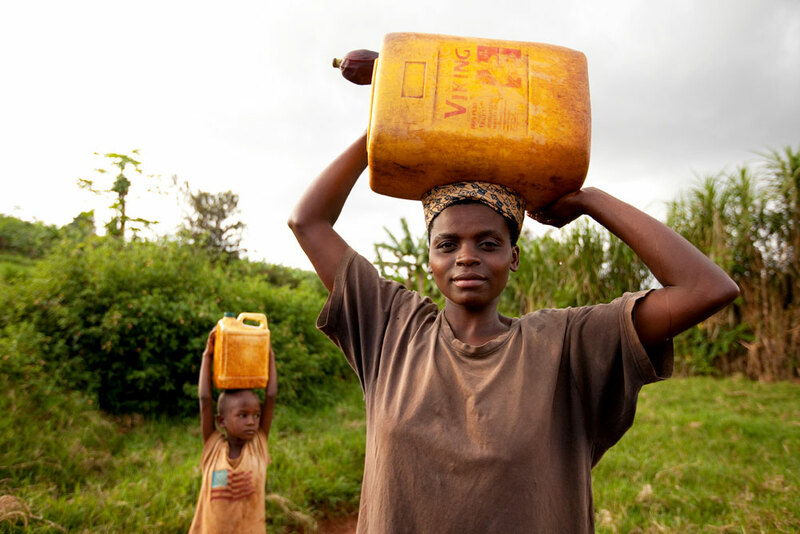 Without immediate access to clean water, women walk hours every day to collect water for their families. Unfortunately, this water is often contaminated and is unsafe to drink. Lastly, high levels of coffee production lead to greater contamination of local drinking water. Coffee is often grown at elevation, and anything used to produce coffee is later filtered back into the streams and rivers that flow through towns downstream. This means that toxic chemicals, pesticides, fertilizers, and sediments released during soil erosion make their way into the canteens that women carry home to their communities. The process of growing coffee worsens the already limited access to clean water faced by coffee growing communities. And there you have it. There is no coffee without lots and lots of water. The coffee industry is huge, and has the power to make a real impact. We might only encounter coffee at the end of the supply chain, but the next time you step into a coffee shop and order your morning cup, remember the long journey the beans went on to make it in front of you today.